There has never been a better time to move your action to Betfair. With the action being as good as ever and our improved Betfair VIP Deal on top, this is the time to sign-up! 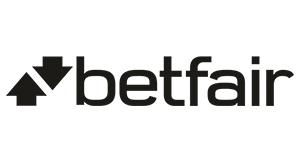 You will now also have the opportunity to win your share of more than €100,000 in Exclusive Betfair Promotions. Join the action on Betfair and reward yourself with up to €8,000 in our €80,000 Exclusive Betfair Rake Races. Note: All new players signing-up and existing players who earned 100 status points (€4 rake) in the week leading to the freeroll are eligible for our €1,2500 Loyalty Freerolls. All qualified players will receive a token to enter the freeroll and there is no password required to enter. There are more than 100,000 reasons to move your action and sign up with Betfair today! We encourage you to contact us should you require any personal assistance while setting up your account.